So it seems someone was thrown out of the Super 15s yesterday for swearing. I'll be attending the third division in a couple of weeks and I'd hate to get chucked out for this. Could the SPA please publish a full list of all unacceptable words on this site please? It is NOT possible to publish swear words on site as filters do not allow certain words. Check Oxford English dictionary for further reference. 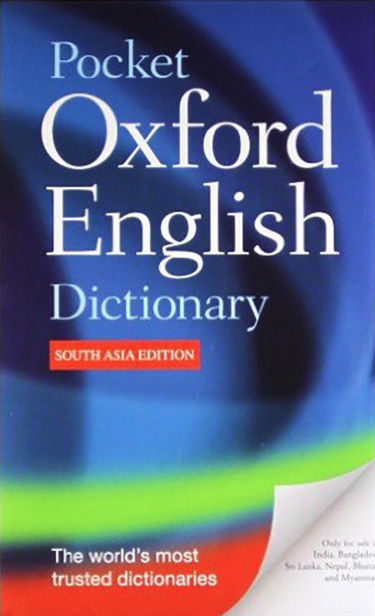 The OED describes swearing as "The use of offensive language." Given that what is offensive to me, might not be offensive to you. I think it's necessary for the SPA to weigh in on this matter. If you bring me a list of words you wish to say or not to hear during play, I will sift through them and sanction any words that can be said by you or others. This list will only be sanctioned by me personally each day of play. Thanks for clearing that up, I feel it's only fair I give you a head start since I plan on bringing a "list of words" that's widely recognised as being definitive. I would like to say all these words during play. Does anyone else not find this whole thing absolutely ridiculous?! This comes part and parcel with live events streamed/broadcasted. To threaten a team with loss of frame in itself is embarrassing but to throw a spectator out in the last round of the whole tournament is baffling. What about every single person who attended the venue over the course of the weekend? I guarantee more than 3/4 have swore at some point. Punish one, punish everyone, which would lead to a very empty hall. It seems rather than support and promote these weekends, which I personally love and have done ever since my first event, people are doing their best to drive everyone away. Just my opinion and I'm sure others will agree and also disagree. Davy away and don't be silly. Someone comes up to you with a problem to do with the tablet for the 50th time on the Friday night and you don't swear whilst telling them what to do? Everyone is missing the point here. Laura was a spectator at the pool. Ross McInnis does not own pettycur bay. If the site has a problem with swearing then that's up to them. But going with the patrons during the year I can't see that being a problem. Actually i can remember taking jnr to Motherwell v Rangers when he was a kid and we were in Motherwell end, this was when Goram was playing for Motherwell and every time Rangers scores this guy down front of stand was shouting profanities towards Goram, he was warned twice by stewards and then for the third time he was ejected. You can’t shout out swearing in most stadiums in their family stands. I’m not one to defend Ross very often but we seem to be glossing over that Ross clearly announced next person to swear will have a frame docked off their team so it’s actually commendable that he only asked a spectator to leave the arena rather than dock a frame. Just as an aside, if online viewers are complaining about swearing, why isn't there a disclaimer saying the language could become loud and possibly offensive. We've all been at these weekends, they are in a place that sells alcohol... can we not expect adult behaviour? When does swearing become offensive? Something else regarding the streaming, when has anyone been asked to sign a disclaimer for their image to be transmitted across the internet? Who has permission to view this? What safeguards are required to view this stream? I personally have no issues with being streamed, but these are some issues I have encountered with regards to personal image and the use of this? When are people going to realise that the vast majority of the people at these events are there for a laugh and a good weekend. There are very few who are tucked up in their caravan with a cup of tea at half 10. Pool is the common man's game with its roots IN THE PUB where swearing is certainly not frowned upon. The proper response would have been to pull the person aside and warn them about the mic. I can't believe this is a serious subject. People need to get a grip. Yes, this is one of the biggest events but that's only cos members like to attend and have a good time. Couple of things which made shytegate a disgrace. 1. The fact the no swearing was brought in for the final only and the consistent swearing all weekend. 2. The way it was handled, even throwing the offender out (which was wrong anyway) to degrade them over a microphone Infront of a crowd was just plain sick and embarrassing. 3. If we are going to do everything by the so called book, then that book has to be published. 4. If there is to be no profanity then the words themselves have to be established, the word used for me personally is a descriptive word however it can be seen by others as derogatory, there are other words which are not profanity which fall into this also, this must be cleared up, surely. Finally, you cannot have it both ways, the spa and venue have this event as a fun weekend packed full of drinking and good times yet you cannot swear. The venue is a pub and this type of language is the norm, not the mention we are Scottish therefore the use of swear words is much more common. I hope the right thing is done and an apology given, not for ejecting the person but for the humilating way it was done, disgraceful. Complaints on web ffs....turn volume down and don't be a NO SWEARING! !